Document scanning services help companies across industries scan their paperwork into digitized copies. No matter the type of files you have that need to be digitized, professional document scanners can get the job done quickly and produce high quality digital images. Watch the video below or continue reading to learn what professional document scanning services can do for you. What Document Types Can Scanning Services Handle? When most people think of a scanning service, they think of just basic scanning—where everyday documents are being made into digital copies. Despite that though, documents come in countless varieties ranging from photographs and newspaper articles to full-size architectural drawings. While standard letter-sized paper may be all that comes to mind, scanning services actually cover a wider spectrum of formats than one might first think. Large-format scanning is frequently used to digitize blueprints, engineering drawings and mylars in order to avoid the wear and tear of physical copies and make them easier to share. Using heavy-duty wide-format scanners, image sizes spanning from “A” to “J” can be converted in color, grayscale, or black and white. Although PDF or TIFF output formats are usually the standard request, additional formats including DWG, CALS, and JEDMICS are also available options for projects with specific requirements. Micrographics migration is also common since the older storage technology is now being phased out in exchange for paperless workplaces. For both microfilm and microfiche, specialized scanners are used to make digital copies of their miniaturized images. 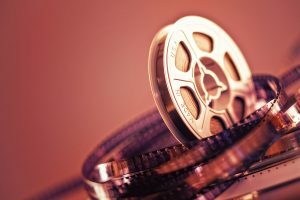 Microfilm scanners are able to convert both 16mm and 35mm film reels, while microfiche scanners give a pre-scanned sheet to evaluate the specific images for conversion. Various output formats are available, and in many cases the digitized files can be returned on a CD, hard drive, or other storage device. During the scanning process for any of the various format types, there are also options for filtering information and making it editable after it’s scanned. 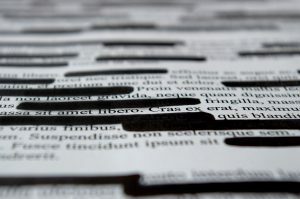 Document redaction allows images and text to be blacked out during scanning and essentially removed from the scanned document. For information not redacted, Optical Character Recognition (OCR) converts it as machine-encoded text, making it editable for use with other digital software. Need Scanning for More Than Just Standard Paper? 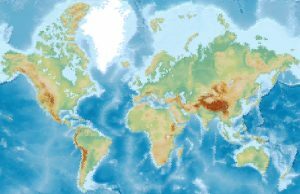 Find alternative scanning services for microfilm, engineering drawings, maps and photographs, and other large-format documents with Record Nations. Call us at (866) 385-3706 or fill out the form on the right for free quotes on your project.